TAFISA, Gerlev (Denmark), Sport Fryslan (Netherlands), University of Physical Education Poznan (Poland), Flemish Traditional Sports Federation - VlaS (Belgium), Italian Traditional Sports and Games Federation - Figest and Kavala (Greece) are proud to announce the launch of the ‘Traditional Sports and Games - European Platform’, which stands for safeguarding and promoting TSG. On December 6th, 2017, at a conference hosted by MEP Seán Kelly at the European Parliament, the partners presented the result of a one-year project co-funded by the Erasmus+ Program of the European Union. High level speakers were gathered for this special event. MEP Seán Kelly underlined the importance to safeguard TSG for the European cultural diversity, and Marisa Fernàndez Esteban, Deputy Head of the European Commission’s Sport Unit, highlighted the commitment of the Commission to promote TSG. UNESCO’s Jonathan Lorcher-Beaudran announced UNESCO’s strategy to elaborate policy guidelines on TSG, develop an online world sports encyclopaedia and establish an International platform on TSG. The conference was also the opportunity for Anne Jochum de Vries, Director of Sport Fryslan and head of the 1st TAFISA European Sport for All Games (3-7 August 2018), to invite European countries to participate in this event. ‘To serve as a European resource hub that stimulates the sharing of TSG policy, knowledge and practice, ultimately increasing the number of institutions and individuals involved in TSG. We hope this will bring us to a united Europe, eternally rich and diverse in TSG. VlaS coordinator Hein Comeyne participates in the new European project called "European Traditional Sports and Games Platform. 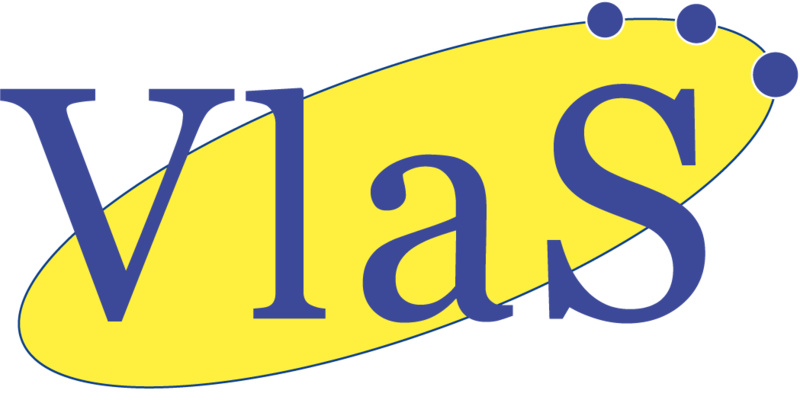 VlaS's is the main partner in this project which is led by Tafisa. The project aims to realise a European platform that helps ensure the active existence of the traditional sports in Europe. The contribution of VlaS includes mapping of traditional sports in Europe within three areas: practice, research and public policy in the domain of TSG. 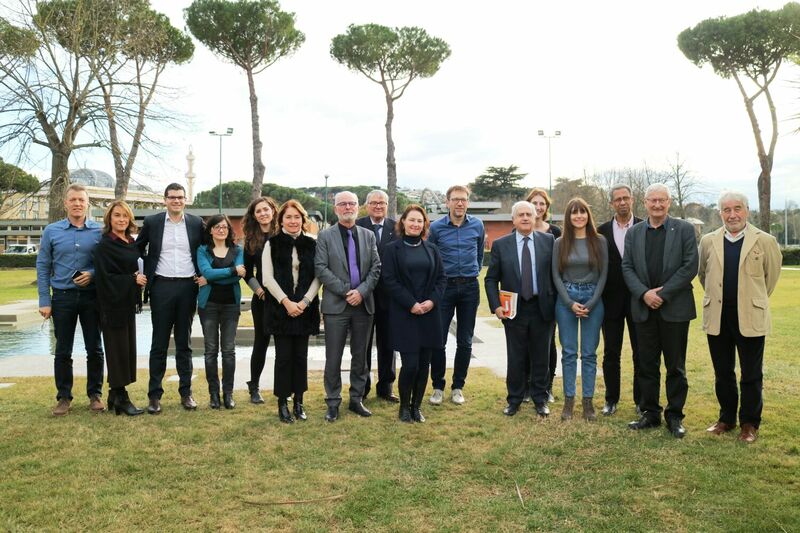 Partners and experts came together in Rome to descide how to share the workload and to discuss the goals of such a network. This project forms for VlaS a continuation of the SETS-project. The picture below was taken during the first day of the three-day kick-off meeting. More photos via this link. 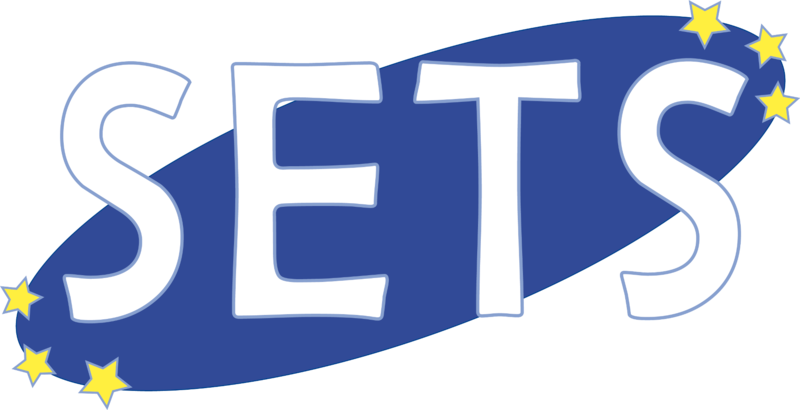 The project is Co-funded by the Erasmus + Programme of the European Union. From left to right: Hein Comeyne - VlaS, CONI, Jean-François Laurent - Tafisa, Katia Di Nardo - FIGEST, Giulia De Santis - FIGEST, CONI, Wolfgang Bauman - Tafisa, Sergio Manganelli - FIGEST, Malgorzata Bronikovska - Poland, Anne-Jochen De Vries - Friesland, Roberto Fabricini - secr.gen.CONI, Trea Tamminga - Friesland, Vasiliki Ypsilanti - Greece, Jorge Carvalho - Portugal, Finn Berggren - Denmark, CONI. VlaS will act as main partner in the newly approved EU-project called 'European Traditional Sports Platform'. After consulting with other important European TSG partners in The Hague and later again in Brussels Tafisa accepted to lead this follow-up TSG-project. The project will last during the whole of 2017. It starts with a meeting in Rome, goes on with numerous workmeetings, a follow-up meeting in Berlin and a presentation of the new TSG-platform in december in Brussels. At the EU-forum in The Hague the leaders of 5 TSG-projects sat together and descided to mount a project to prepare a European platform on traditional sports and games. These representatives of four European projects for the promotion of traditional games and sports were invited to discuss the future of TSG in Europe. The president of the European Traditional Sports and Games Association (jugaje.com) was also invited. This meeting was not about the new call for TSG-projects to be entered May this year. Topic of the meeting was to discuss the future of traditional sports in Europe. It convinces us that good cooperation possibilities lie before us in the near future. Following this meeting Tafisa took the initiative to start preparing a new TSG-project in the 2016 call for ‘small collaborative partnerships’. Aim of the project would be to prepare further European cooperation, as a sort of TSG-platform. VlaS will participate in this project as an active partner. • How to create early positive sports experiences for children? • How to integrate physical activity into every day live? - Through the invitation for the World Sports for All Games in Jakarta – Indonesia. They have a lot of attention for the rich diversity of traditional sports and games in Indonesia and will invite traditional sports and games from over the entire world. - Also there were presentations about the success of two regional traditional sports centres in Denmark and India. 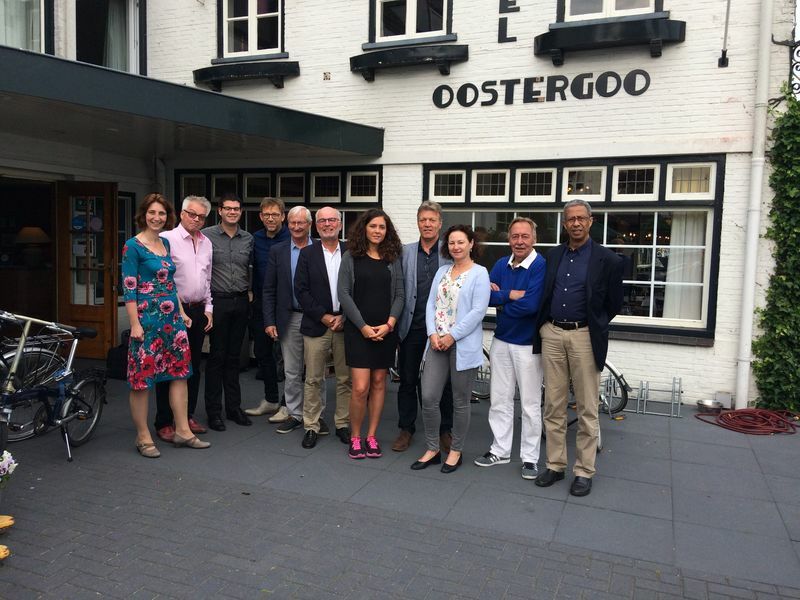 - Friesland (The Netherlands) explained the ambition to promote traditional sports through a big event as the ‘European Sport for all games in Leeuwarden 2018’. The VlaS-coordinator got acquaintance with many interesting persons and organisations. This gives us renewed hope to start projects that will help support the active practice of traditional sports. As well in Flanders as in Europe and worldwide. Hereby a link to a well selected photo-album which gives a good idea about the goings of the Tafisa World Congress. 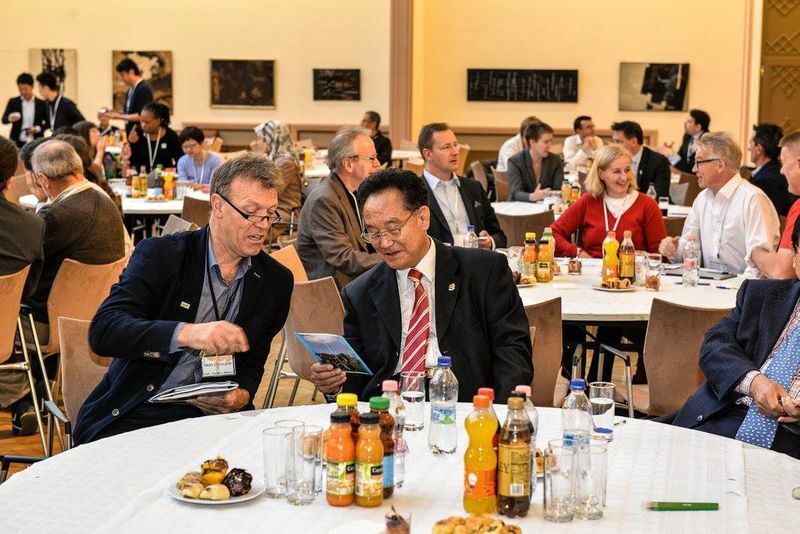 Photo: VlaS-coördinator Hein Comeyne informs Tafisa-president Ju Ho Chang about the project 'Festivalwip'. VlaS ended the official part of the SETS-project ‘Strengthening European Traditional Sports’. 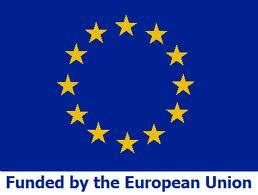 We can now work on the 'technical implementation report' and the financial report to the European Commission. This is required to justify the funding by the EU. 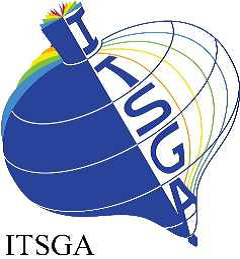 During eighteen months VlaS has lead the project in cooperation with Sportimonium vzw en six foreign partners including the European Umbrella for traditional sports and games: ETSGA. During the three international conferences representatives of 23 European countries were present. The results of the project are among others: well-considered recommendations to the European Commission, a stronger European TSG-network and the publication of a SETS-book. The latter counts 112 pages with hundreds of photo's of no less than 93 traditional sports out of Northern and Eastern Europe. The book is available in five languages, next to English there are versions in Spanish, French, German and Dutch. For more information or if you would want the SETS-book to be send to your address, please contact VlaS. The third conference of our SETS-project started in Hungary, Martfü. Another thirteen different organizations have been contacted to take part of this conference. The organizations came from Czech, Slovakia, Romanian, Hungary, Bulgaria, Greece and Russia. Wednesday at 17h30 we welcomed the first participants. All of them could place information of their organization at the informationmarket and took time to get to know each others game and/or organization. The conference officially started with a word of VlaS-president Guido Van Alsenoy. Thereafter, each participant got a chance to present their activities. click here to see the presentations of the associations. The second conference in Vilnius was a success! 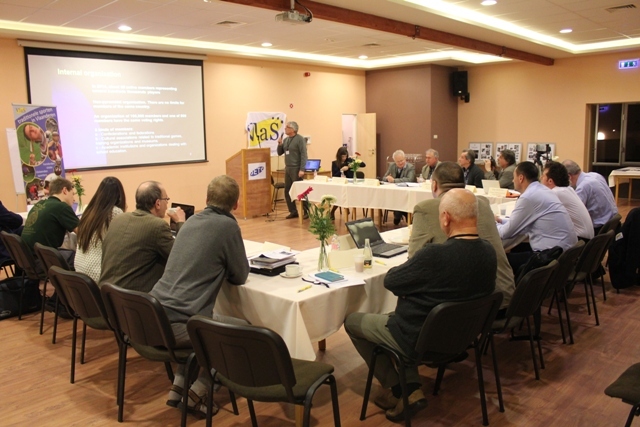 In the beginning of February our second conference in Vilnius (Lithuania) occurred. We welcomed twenty attendees in hotel holiday inn Vilnius. In total eighteen different organisations of traditional sports and games were represent, mostly out of North-East Europe. The organization went smoothly, thanks to the help of the Lithuania's National Wrestling Federation. They helped with the practical aspects of the conference. The meeting excisted out of three parts: presentations of the represented associations, presentation of the conference topics followed by a discussion and a seminar on the last day. These seminar is opened by Vytautas Vainnys, Deputy director general of the department of physical education and sport under the government of the republic of Lithuania. Also two other Lithuanian experts (Gintautas Vileita and Thomas Gerve) in the field of traditional Lithuanian wrestling were invited to speak on the seminar. VlaS presented the conclusions of this second SETS-conference based on the discussions we did on the previous day. photo (from left to right): Vytautas Vainys (Deputy director general of the department of physical education and sport of the republic of Lithuania), Hein Comeye (coordinator VlaS), Arturas Vileita (president Lithuania's National Wrestling Federation) and Gintautas Vileita (president United World Wrestling's, World Belt Wrestling Committee). Almost ready for our second conference in Lithuania ! Our second conference in Vilnius promises to be a success! All the plane tickets are booked and the program is complete. The first two days are similar to our previous conference in Amsterdam. First the delegates get the chance to present their association to the other participants. Secondly the conference topics will be presented and discussed afterwards. The seminar on the last day will be very unique. The event will take place in the Lithuanian Sport Department. Delegates as Mr. Gintautas Vileita, President of United World Wrestling’s, World Belt Wrestling Committee-Lithuania and Tomas Gerve, General Secretary of Lithuania’s Traditional Wrestling Federation-Lithuania will speak on the seminar. As well the results of the conference will be clarified. I’m sure the conference will be interesting and will help tightening networks of traditional sports and games associations in North-East Europe. Looking forward to it ! In the framework of our European project SETS, Hein Comeyne was invited to represent VlaS on the EU Sport Forum in Milan from 1-2 December 2014. The forum gathered around 300 participants. Among them were leading representatives from international and European sport federations, the Olympic movement, European and national sport umbrella organisations and other sport-related organisations. Between the plenary sessions there was an exhibition (stands with handouts, leaflets and other information) provided for the projects selected in 2013. The new EU Commissioner for Education, Culture, Youth and Sport Tibor Navracsics visited the SETS stand. Hein Comeyne explained to him the SETS project and they exchanged ideas about traditional sport and games in Europe. 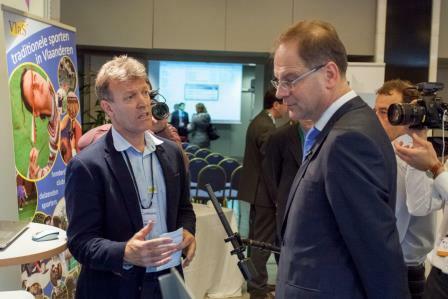 photo: Hein Comeyne explaining the SETS project to mister T. Navracsics, the new EU commissioner for Education, Culture, Youth and Sport. 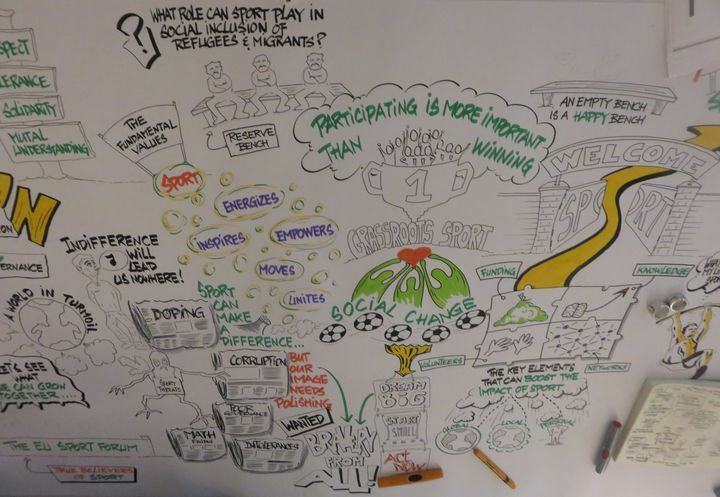 Milan, Monday 1st en Tuesday 2nd December 2014 - The European Commission gave VlaS the opportunity to present the SETS-project on the EU Sport Forum. During this forum the already finished projects that were entered in 2012 could present their results by means of workshops. The running European projects entered in 2013 - as the SETS-projects- got an exhibition stand to present their planned actions during two and a half days. This made it difficult for me - as only representative - to follow the discussions in the plenary room or to take part in the workshops. Still I managed to follow some sessions. I want to thank Jean Fulcrand for his intervention in the plenary meeting on behalf of the traditional sports and games. One of the panel members confirmed the importance of local and regional games. Two days I've been networking from early in the morning till late at night. I presented our project to sports leaders out of England, Hungary, Netherlands, Germany, Denmark, Greece, Spain, ... The talks with the representatives of the two other EU-project on the theme of 'European traditional sports and games were also interesting: Tafisa (Germany) 'Games of the past - Sports for Today' and Cavala (Greece) 'Europe is our playground'. With Tafisa we discussed different forms of working together, some of which we would like to start already. It was a pity that the fourth project about traditional games was absent. The space provided for Figest with their project 'European Medieval Sport & Street Games Network - short: Games.net' stayed empty. VlaS hopes that there may be a sequel on the SETS-project so that our networking on the European level will be of use. photo: The plenary session filled the big conference room. Projections was provided at both sides. Translation was don from and to four mail languages: english, French, German and Italian. Speakers has to use one of these four languages. photo: The new EU-commissioner of sport visited every exhibition stand. Here you can see him with the project of the city of Cavala (Greece). You can see the VlaS-stand at the back. The first conference is full ! We are delighted to announce that all the participants for the first conference are known. The Irish Road Bowling Association, the Royal Dutch Kaats Bond, the Scottish Highland Games Association and the UK dodgeball association are added to the list of participants ! The full list of participants can be accessed by clicking here. Participants for the first SETS conference are known! After seven months of intensively searching for organisations of traditional sports and games, we finally started to select participants for our first conference. We are very pleased that from the eighteen invitees already fifteen have confirmed their present (see table below). Situation of traditional sports and games within their community. The strengths and weaknesses of traditional sports and games. Cooperation between traditional sports and games organisations in the future. Recommondations towards the European Union regarding traditional sports and games. It’s our intention to start a discussion on the forum before the start of the conference. We are really hoping the active participation of the candidates will make the forum a succes. Of course also non-participants can take actively participate in the discussion on the SETS website. (http://www.europeantraditionalsportsforum.eu/forum/index.html). Finally, we are practising with Dragon NaturallySpeaking. The voice recognition software will make it possible to convert the content of the conferences into digital text. In this way, participants can convert this English text with a translation program into their own language. This will help to decrease the language barrier and to realise a publication about the conference. First SETS conference takes shape ! We are pleased to announce that our first SETS conference from 19-21 November 2014 takes shape. We decided that the conference will take place in Park Plaza close to the international Airport of Amsterdam. This conference will focus on associations of traditional sports and games from North-West Europe (Belgium, Netherlands, Ireland, UK, Germany, and Denmark). As well we selected and invited the participants for this conference. We are hoping for a lot of enthusiastic practisioners of traditional sports and games to confirm their presence. In total 18 invitation are send whereof 12 to associations of traditional sports and games and 6 to project partners. The invited organisations of traditional sports and games represents sports such as road bowling, gealic football, shinty, hurling, camogie, gorodki, shuffleboard, horseshoe pitchers, road bowling, table skittles, closh, fierljeppen, ringtennis, bat & trap, and more. The SETS coordinator brought last weekend a visit to Friesland, a province in the far North of the Netherlands where strong traditions are still alive. She was impressed by the culture and the unity between the people. Pieter Bult, the president of the Dutch Fierljep Bond showed her during three days the heritage of the region. Pieter is born and raised in Friesland and as passionate practitioner of traditional "Fries" sports, he was the best placed man to show her around. One of the striking features was that everybody still speaks the local language "Fries" or "Frysk". It is recognised as an official language in the Netherlands. The highlights of the weekend were definitely the visit to the traditional sport competitions: kaatsen, fierljeppen and skûtsjesilen. 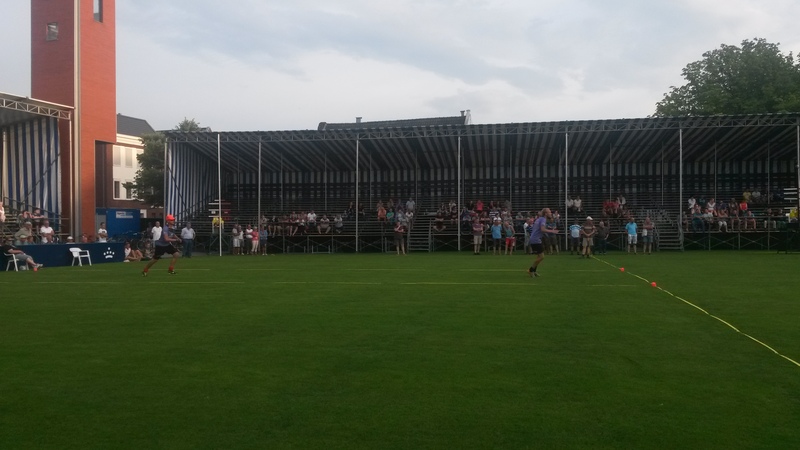 Kaasten is probabbly the most practised traditional sport. It's a ball game played between two teams out of three members. While the first team serves, the other team has to return the service as far as possible. Figure: Kaasters ready to return the serve of their opponents. The second sport I could witness is skûtsjesilen. It's a technical teamsport in which 10 to 14 crew members are sailing a 100 year old sailship or "skutsje" on small water. 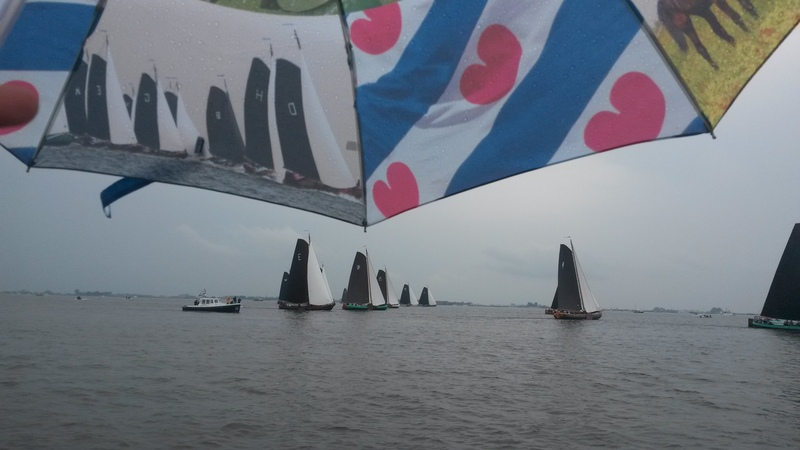 The competition occurs every day during three weeks between 14 ships, which must meet the traditional requierments of a "skûtsje. Every day after the race a traditional "Fries" folk festival takes place. Figure: Sceneray of the race from the waterside. The last sport on the agenda was Fierljeppen. The goal of the sport is to jump over the water with a pole. Skills as coordination, strength, and condition are really important. The fierljepper who jumps the furthest wins the competition. Figure: A fierljepper who climbs upon the pole, trying to cross the water as far as possible. According to the SETS coordinator is trying one of these sports highly recommended and absolutely fun ! 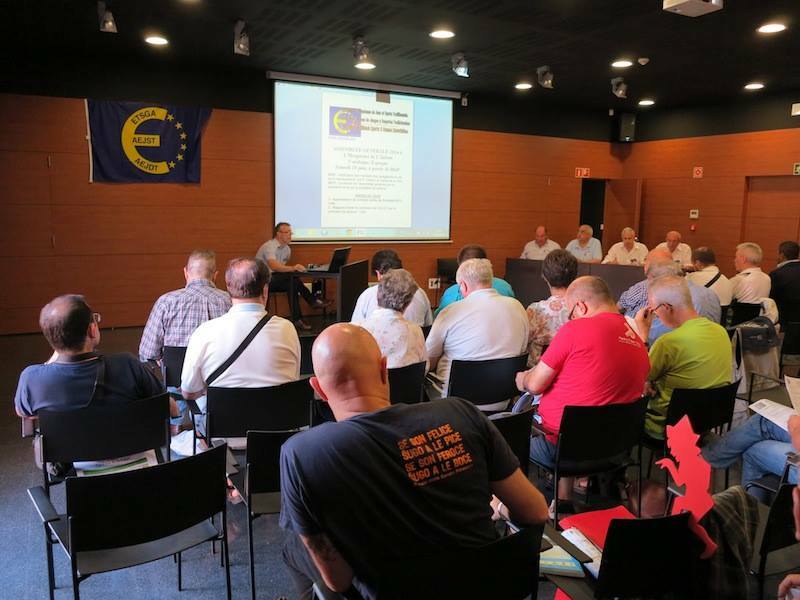 On 27th of June 2014 in Catalonia -in the small village: Hospitalet de l'Infant- the 14th annual ETSGA (European Traditional Sports and Games Association) meeting occured. Our chairmen Guido Van Alsenoy was present for VlaS and coordinator Hein Comeyne elucidated the European project: 'SETS'(Strengthening European Traditional Sports). The meeting lasted four hours, thereafter the attendeed could try out thirteen different ways of skittles, played with 6-pins. These traditional skittle games are original from different regions in Spain and France. The meeting passed smoothly and there was a good atmosphere. The SETS-presentation impressed the audience with the already obtained results : a website (www.europeantraditionalsportsforum.eu) with more than 80 traditional sports and games out of North- and East-Europe. Furthermore, under each picture in our photo-gallery you can find a link to the related organization. In total, more than 200 organizations are already contacted. A collaboration with other European projects about traditional sports and games is in prospect. Click here for going to the photo-gallery. Professor Roland Renson visits VlaS! He helped us out by identifying some interesting organisations of traditional sports and games. His experience as an appreciated sport historian was very valuable. As well Arunas Rinkevicius (Lithuanian sling shooter, living in Belgium) helped us out by calling to the Lithuanian ritinio Sport federation, a traditional hockey game. Figure: Roland Renson (Emeritus Professor KU Leuven, chairmen Sportimonium), Hein comeyne (coordinator VlaS), Arunas Rinkevicius (Lithuanian sling shooter), Gaël Staelens (Coordinator SETS). New pictures in the photo-gallery! New pictures of traditional sports and games are uploaded to our photo-gallery. At the moment there are pictures from 29 sports out of 10 different countries viewable. Underneath every picture there is a link added to the website of the traditional sport or game. Therefore there is the possibility to do more research if you are interested in a sport. We want to capture all the traditional sports and games from North- and East-Europe in this photo-album. Is your traditional sport or game not published yet ? Please, send us a picture of your sport and we will upload it to the website. Enjoy discovering new sports and games! Call to search for traditional sports and games organisations ! For this project I am looking for organisations of traditional sports and games in Europe, and in particular from Northern and Eastern Europe. Every help to get in touch with an organisation of traditional sports and games will be appreciated.